Download your free digital copy at Smashwords. How did science fiction romance evolve? That's the question behind A Brief History of Science Fiction Romance. Women have always been creating and consuming speculative fiction. 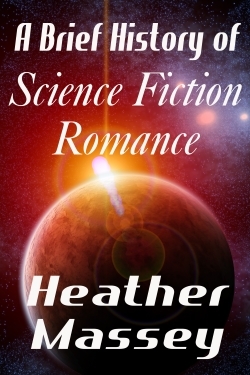 Sci-fi romance is one example of such efforts. This brief, easy-to-share document presents core information about the fascinating history of sci-fi romance, a genre with roots in fan fiction, Star Trek, and the passion of countless women determined to assert their interest in SF-romance hybrids. This collection of essays is a mix of original content and information culled from the author's blog, The Galaxy Express.